Well it’s that time of year when I start keeping my eye out and looking through the recent buys from the last twelve months to find some books for Lizzie’s and Caroline’s German lit month ,well after it was announced earlier this week my first trip was to the Library to see if they had any Joseph Roth week is the theme for the last week ,I have only read him once before and missed out on getting the recent Granta reissues from the other year but luckily for me my library had a couple . 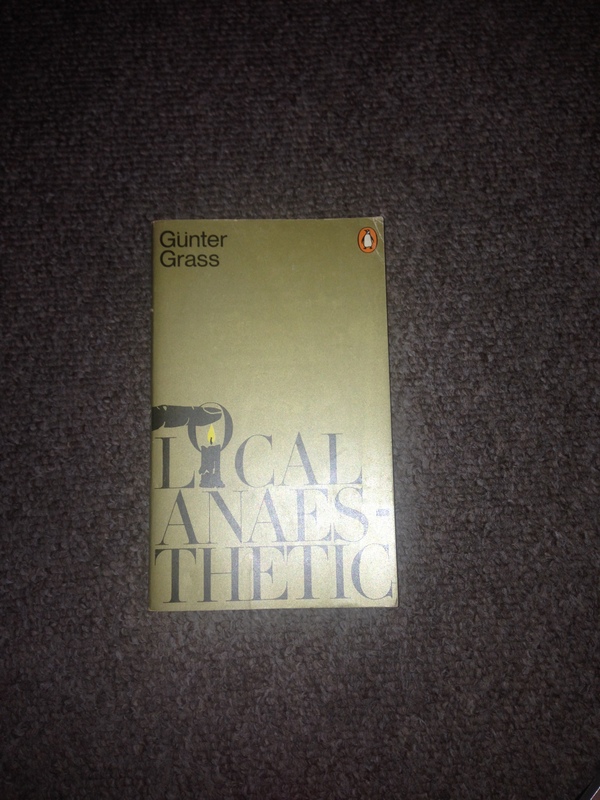 An old Gunter Grass novel Local Anaesthetic ,a story of an idealstic teacher ,another section of German lit month is to read a prize winner and Gunter won the Nobel prize in 1999 ,I also remember I have the box but need to get hold of the peeling the onion to read his memoir in order . Well that is it for now I have a number of other books a couple of surprises among them ,have you any plans ? I shan’t commit to this Stu because I always fail if I commit! But I may well casually decide to read some German authors through the month!! I’m glad you found two of Roth’s best novels. Local Anaesthetic is said to be very good too. I’m using this as an excuse to finally get through some of my books on the bookshelves: I’ve got a collection of stories by Bernhard Schlink, Zweig’s Meisternovellen, Durrenmatt’s Der Verdacht and Richard Weihe’s Sea of Ink. Excellent, Stu. You won’t be disappointed by the two Roth books I guess. I reviewed Job recently on my blog. Will also participate but haven’t made up my mind yet regarding the books I will read. I just checked my shelves and don’t have anything German at all. I think I’ll skip it this year in that case so I don’t end up buying yet more books or borrowing them and having to return before they are even opened. 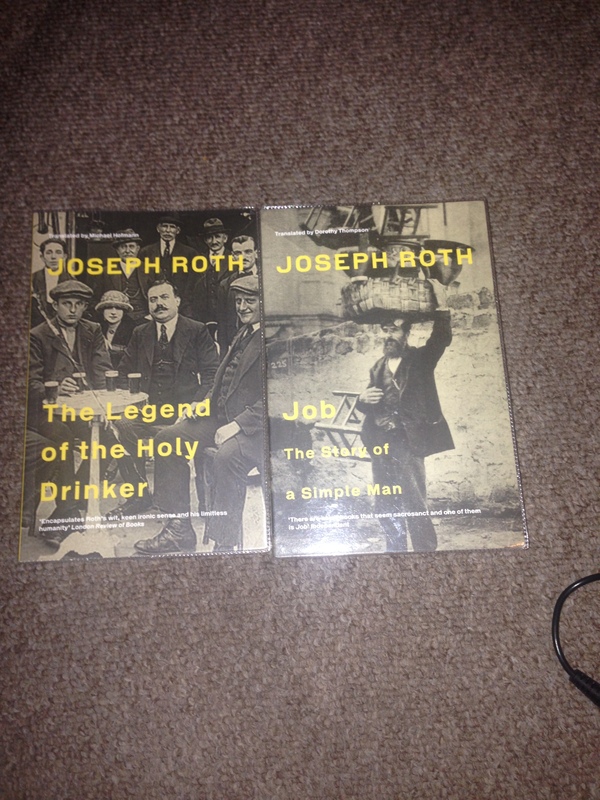 I keep meaning to read more Joseph Roth. ‘The Legend of the Holy Drinker’ is excellent – have you seen the film? I will follow suit to see if our library has any Roth books, don’t hold your breath – and I won’t either. In the meantime, I am planning on reading Letters to an Unknown Woman by Stefan Zweig which Pishkin Press sent me a few months ago. Like Marina, I’m keen to join this year and hope to use it as an opportunity to read two or three books from my shelves. Looking forward to it.